President Muhammad Buhari is to proceed on a 10-day vacation in London to treat an undisclosed ear infection. His Spokesman, Mr. Femi FEMI ADESINA, Special Adviser (Media and Publicity), conform it. President Muhammadu Buhari will take 10 days off and travel to London on Monday June 6th to rest. The 10-days vacation is to enable him to rest and also see an E.N.T (Ear, Nose, Throat) Specialist in London. During the holiday, he will see an E.N.T. specialist for a persistent ear infection. 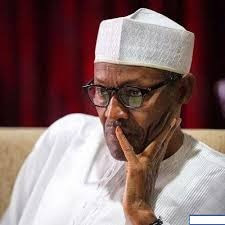 He said the president had been evaluated by two ENT doctors in Nigeria but was advised to seek further treatment abroad as a precautionary measure. According to Source, there was no word on whether Vice-President Yemi Osinbajo, would act in his stead as was done for five days last year when the president had to travel to London for medical treatment. 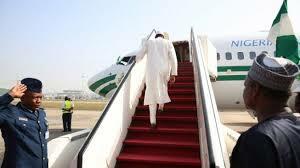 Buhari’s aides had explained that his inability to visit Lagos last month was due to an ear infection. He also missed last week’s trip to the Niger/Delta region to launch the Ogoni cleanup exercise. Although no reason was given to explain the president’s absence at the event which was flagged off by the Vice President.